Dunlop – specialist manufacturer of tiling, flooring and decorating products for the trade – have appointed a new Product Support Technician for East Anglia, London and the South East. Ipswich-based Carl Cox will support builders’ merchants, decorating supply centres and tradespeople with technical, sales and training enquiries for the Dunlop and Dunlop Pro Décor brands in the region. Carl joins Dunlop from Ceramic Tiles Limited where he worked as a site manager of the company’s flagship showroom and Trade Centre in Ipswich working with tradesmen on all aspects of tiles and tiling. 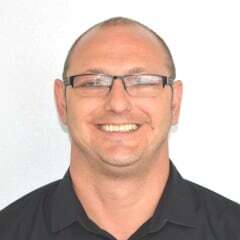 Carl added: “I’m delighted to be joining such an established and trusted brand throughout the merchant and decorating sector which is widely recognised for producing affordable, but high quality products backed up by a great support team. Also joining Dunlop is Richard Homan – new Area Sales Manager for the region – who has transferred from sister brand BAL adhesives. 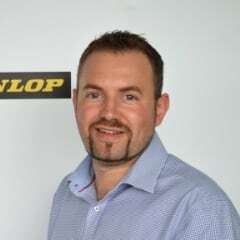 Dunlop are also delighted to announce the promotion of Martin Pouncey to Technical Support Manager. Martin had previously worked with the brand in a Product Support capacity in the Midlands and will now manage the Dunlop support team as well as liaising with training colleges and Dunlop stockists across the country. Debi said: “Martin has a wealth of knowledge and contacts in the tiling and decorating industry and has worked with colleges throughout the country throughout his career with the company and previously as a tiling lecturer.